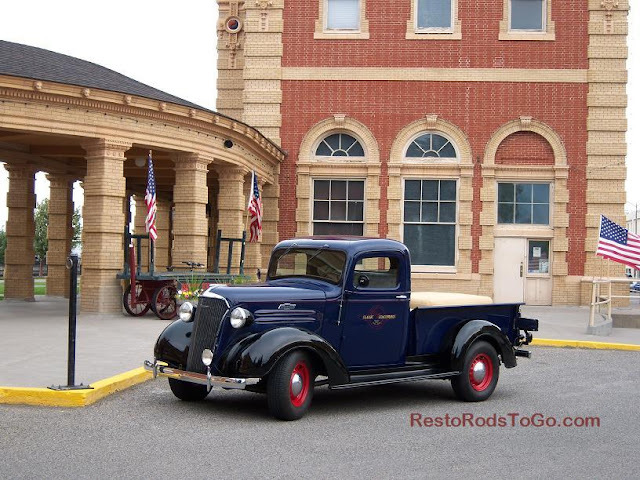 Picture of my 1937 Chevrolet Pickup Truck Model GC. This was taken while I was on my solo, cross country trip from Seattle to North Carolina. I thought I'd made note in my journal, of where this was in Montana but couldn't find that note. Just thought I'd share this.